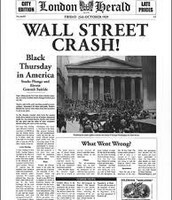 The Great depression (1929-1939) was the longest economic down turn in the western industrial world. 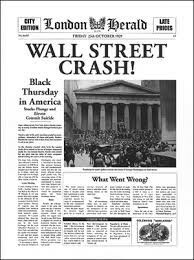 The Great Depression began soon after, however was not caused by, the stock market crash of October 1929. Over the next several years unemployment rates were rising while industrial out put was falling. 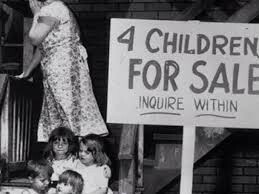 By 1933 The Great Depression had hit its peak, by then 13-15 million Americans were unemployed and over half of the nations banks had failed. President Franklin D. Roosevelt helped to begin reversing the worst effects of the depression, however the economy was not fully turned around until 1939 and the begin of WWII. Fun facts about the Great Depression. President Hoover's name was widely used in relation to all of the hardships during the Depression. Zippers became used more because buttons were too expensive. In 1932-1933 The U.S. Mint didn' t make any nickels because the circulation of money was so low. The American Dream is a national ethos of The United States. However over time the definition of the American Dream has changed. In 1774 as stated by the Royal Governor "Americans for ever imagine the Lands further off are still better than those upon which they are already settled" meaning 'this is what the American Dream is, Americans always striving for the best even if they have what ever they want they always want to get more (in terms of succession). However today we think of the American Dream as opportunities for Americans to achieve prosperity through hard work. This includes having your children grow up with a good education in a good home. And being able to achieve all goals no matter your race, religion, age, etc. http://www.loc.gov/teachers/classroommaterials/lessons/american-dream/students/thedream.html- More for checking credibility than research. 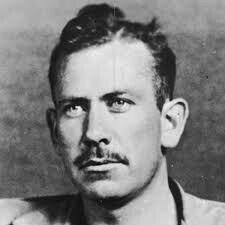 John Ernest Steinbeck, Jr. was born on February 2, 1902 in Salinas California. He was the third out of 4 children. He was always interested in literature from a young age. Steinbeck went through schooling and after graduating from Salinas High School he went to college at Stanford. 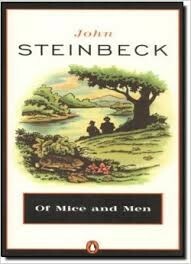 He however left college in 1925 without a degree to pursue his writing career in New York City. 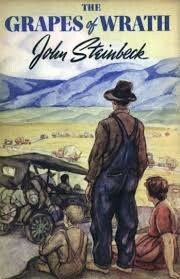 His two famous writings from the time of the Great Depression were Of Mice and Men and The Grapes of Wrath. 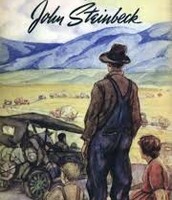 Steinbeck is also known for many other great novels and short story collections. 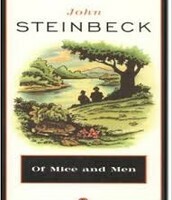 However In connection to the Great Depression those two books are especially known.